Hello all! I have a card for a few challenges. I'm taking the Background Check class from Online Card Classes and I made a background from one of the lessons. I made it into a card for the current Time Out challenge. This is the card we are CASE-ing by Alice Wertz. I never got to do a card for the current Just Us Girls challenge. I was on vacation last week and ran out of time. So I thought I'd use the blue and orange from this beautiful photo (love those colors together!) that my friend Cheryl found. The challenge runs through tonight (Thursday) at 9:00 pm EST, so you still have time to play! Stop by the Time Out blog and Just Us Girls blog to see what the design teams have created! Hi everyone! 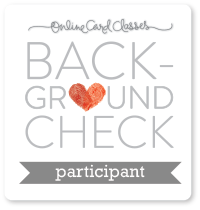 I'm taking the Background Check class from Online Card Classes this week. (If you're not taking the class, I suggest you do. All of their classes are very well done and informative!) I've created a couple of backgrounds and made them into cards. I'm sharing a plaid one today and a different background tomorrow. Laura Bassen created a background similar to this one and made a card with it similar to this one as well. I guess you can say I cased her! 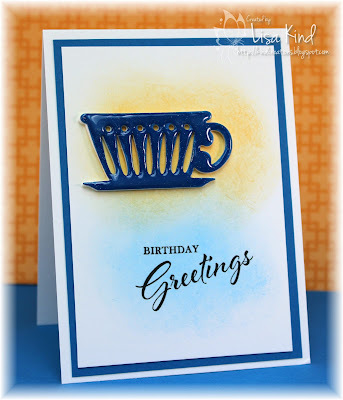 I used three pigment inks and a stripe stamp. I also used two die inks (the black and gray). 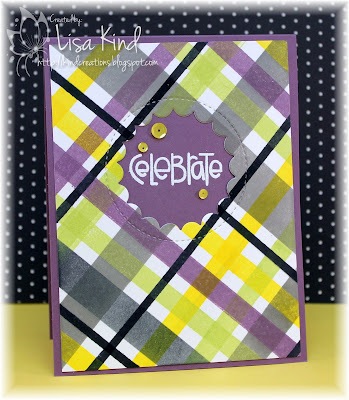 I sponged on the gray color and stamped the black with a thinner stripe stamp. 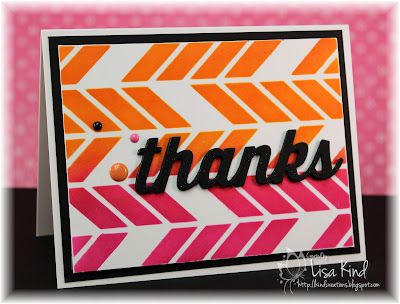 The scallop circle was die cut from the center then I embossed the sentiment in white. I added some yellow sequins. 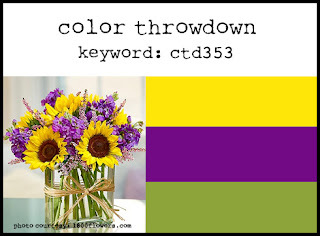 My colors came from this week's Color Throwdown. I did add in the gray and black as neutrals. Love these colors! Hi friends! It's time for a new challenge from Time Out. This time around is our CASE-ing challenge. This is the card by Alice Wertz that we are CASE-ing. Super cute card! 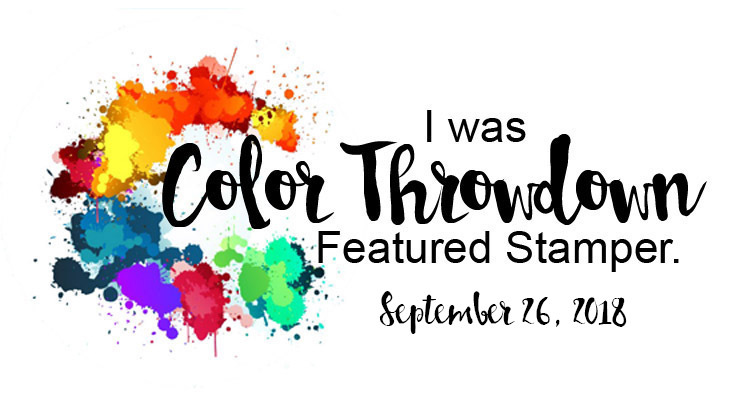 You can see more from our design team and our guest for this challenge, Rema, on the Time Out blog. Hi all! 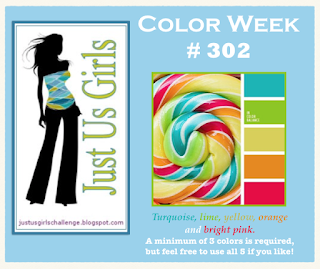 We have a color challenge over at Just Us Girls and it is a summer goodie! Sharyn chose these fun colors and boy did I have fun with them! You only have to use three of the 5 colors. I chose to use all 5 colors. I used some new products I had on my table. I used the bokeh lights stencils (there are three in the set) for my background. I stenciled the smaller dots in pink, the middle dots in orange, and the large dots in yellow. (I love this stencil...I think it's going to get lots of use!) Then I die cut the tag in bright green and the flowers and sentiment in turquoise. There are the 5 colors! 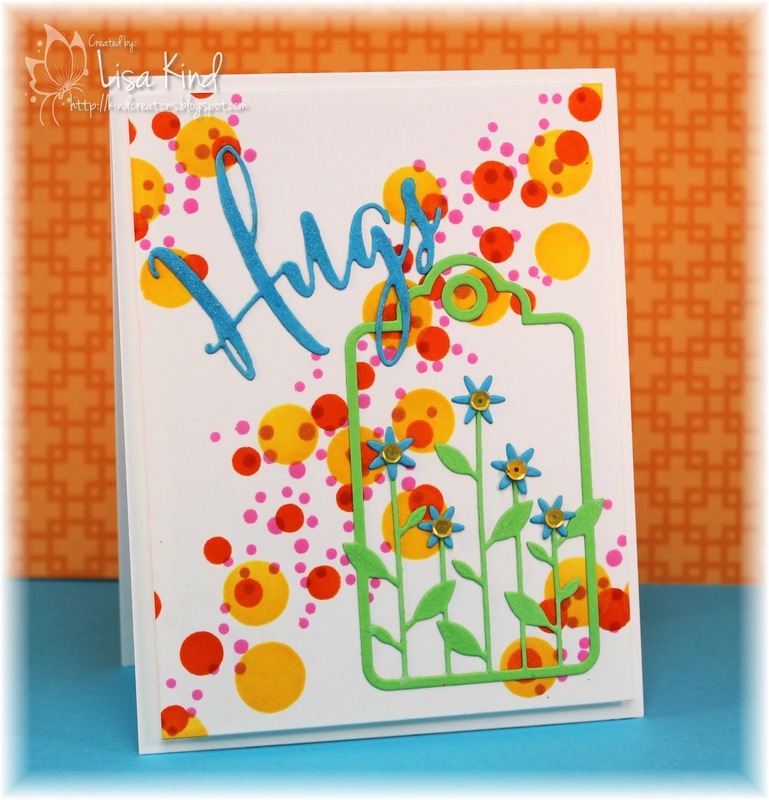 I added some sequins to the flowers and Wink of Stella shimmer to the sentiment and tag. The main panel is popped up on fun foam. You can see more from the design team and our guest on these blogs. Hi everyone! 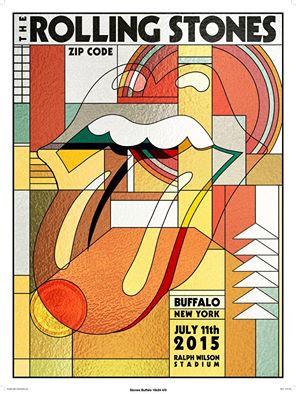 I'm very excited today because my favorite band of all time, The Rolling Stones, are in my hometown Buffalo, NY! My best friend Maria and my cousin Renee are going to the concert with me! The band has been getting excellent reviews on this tour! They've been visiting around town today. They were at a local restaurant yesterday and today they were at the Darwin Martin house, which was built by Frank Lloyd Wright. I wish I could have run into them somewhere! It's on my bucket list to meet them...I doubt that will ever happen! I'll take pics of the concert and let you know how the concert was. Well, back to why I'm really posting today! 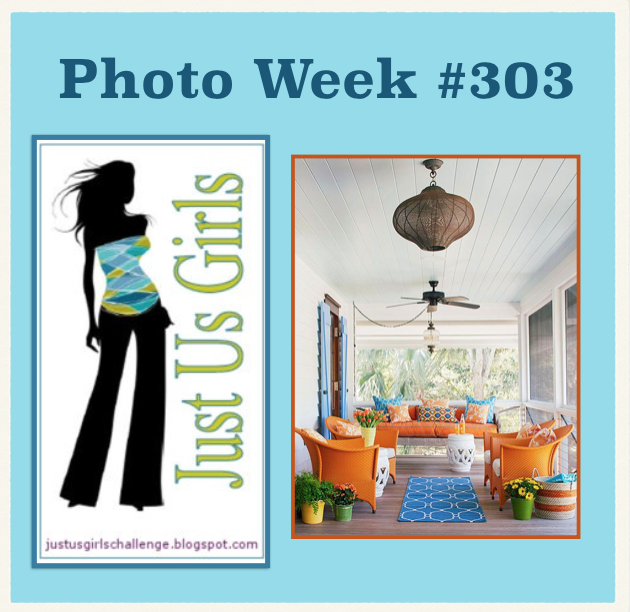 The Just Us Girls challenge this week is a trend challenge. 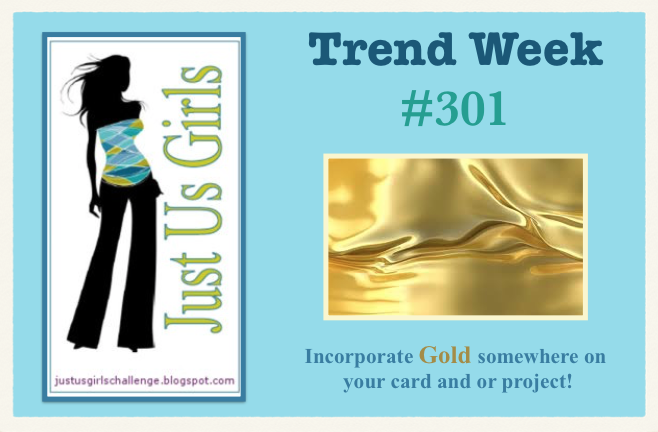 I'm the hostess and I've seen lots of gold being used on cards, so that's the challenge...use gold. Please excuse my photo. The light I use above my light tent is out and hubby hasn't changed the bulb yet. I took about 13 photos all over my house and outside too and his was the best one. I purchased these Paper Smooches dies the other day and thought they'd look cool in gold. I have a set of gold flatware that I use with my china for holidays. That was my inspiration. I die cut them from gold glitter paper, added some gold washi tape, some sequins, and a gold sentiment. The main panel is popped up with fun foam. Hi friends! 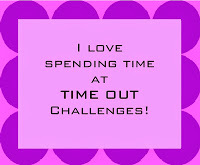 Ready for a new challenge from Time Out? This challenge is a theme challenge. We want you to use the theme of nature and if you want to twist with us, add an animal too! I've had this stamp set from Inky Antics for a couple of years now and it needed to finally see some ink. (See, hubby? I do need all these stamps cause some day I'll need them!) I stamped the jar and the bug on watercolor paper with Archival ink. I colored them with the new Zig Clean Color Real Brushes. (I looked online for them a few weeks ago and no one had them. I saw a post from my local stamp store who said they had them. One phone call to hold the last set of 24 for me and they were mine!) I added glossy accents to the bug's eyes and star dust stickles to its wings. 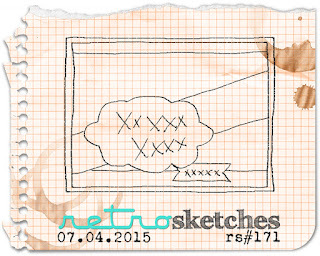 My layout comes from this week's Retro Sketches. 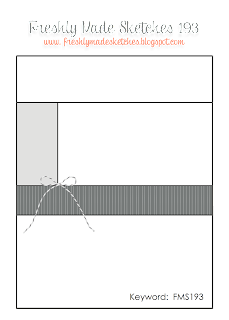 I changed the orientation for my card to vertical. 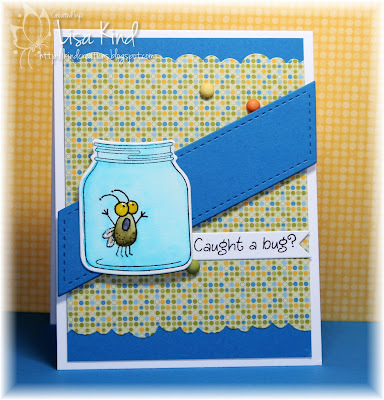 You can see more from the Time Out design team and our guest for this challenge, Barb Ghig. Just Us Girls - Celebrating 300 Challenges! Before I begin, I want to wish all my American friends a very happy 4th of July! I hope you have some fun with family and friends today and be safe! Wow everyone! 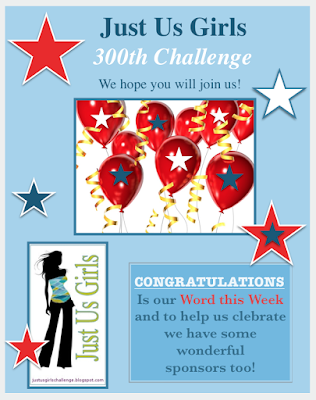 Just Us Girls is celebrating its 300th challenge! I remember when we started this challenge way back in 2009! Maria and I are the only original members, but Vicki and Nancy and the other girls have carried on and kept it going! We've always had fabulous designers playing with us and fabulous challenges. I'm so happy we are still around to celebrate this milestone! So with that in mind, we have a word for you to focus on for this challenge...CONGRATULATIONS! Now the ditz that I am, when I was making my card I pulled out a congrats die then thought, no it's supposed to be celebrate. So I found my only celebrate die and went on with my card. 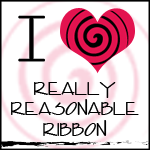 Then when I was posting my card to the blog, I realized my first inclination was correct. But, by then it was too late! It took me forever to get the shaker created! 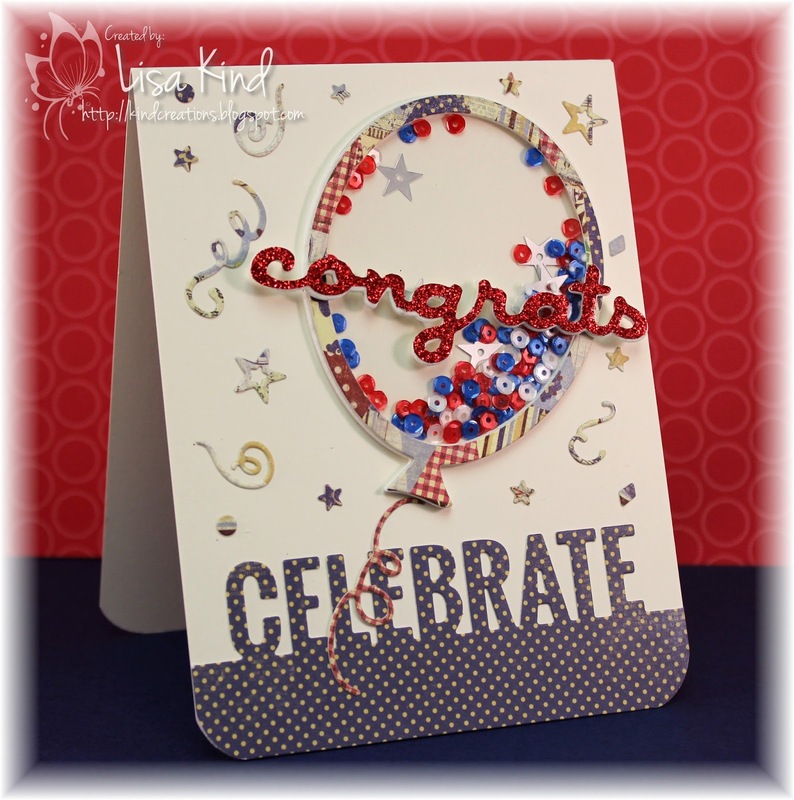 So after a few hours of feeling guilty (I was not able to do another card), I added the congrats die over the balloon. I die cut it from fun foam then red glitter paper. I love the revised version and my guilt has disappeared! LOL! I wanted to make a shaker card with a balloon just like in the photo above. And because today is the 4th of July, I wanted to make it red, white, and blue! I added some red, white, and blue sequins along with some silver stars. The pattern paper is from a pack that had the theme colors I wanted. The confetti was cut from the same paper using the die set as well. Now, to celebrate, we have some fabulous prizes from some very generous sponsors! 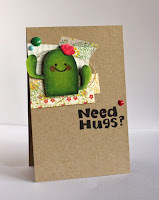 Inspired by Stamping is a boutique online craft store based in Australia and was founded by Joanna Munster in July 2011. Our commitment is to bring you the highest quality in paper crafting supplies. We design & manufacture the highest quality of photopolymer stamps that bring superior stamping to all crafters. 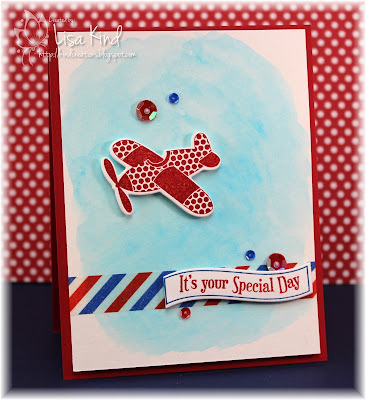 Whether you're just starting out in card making or a "seasoned scrapper", you'll find that our stamps and products are a great addition to your collection. STAMPlorations is a California-based small company owned and managed by husband-and-wife team, David & Shery Russ. 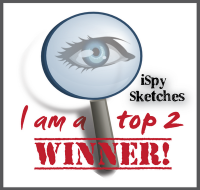 We began in June 2013 selling clear stamps based on Shery's designs. From just a handful of stamps, we now have 100+ stamp designs; 2 amazing stamp designers creating stamps alongside Shery; ARTplorations, our exclusive line of stencils; a stamp club; and a design team consisting of 21 amazing paper crafters who regularly produce gorgeous projects featuring our products. All of our stamps are proudly made in the USA. 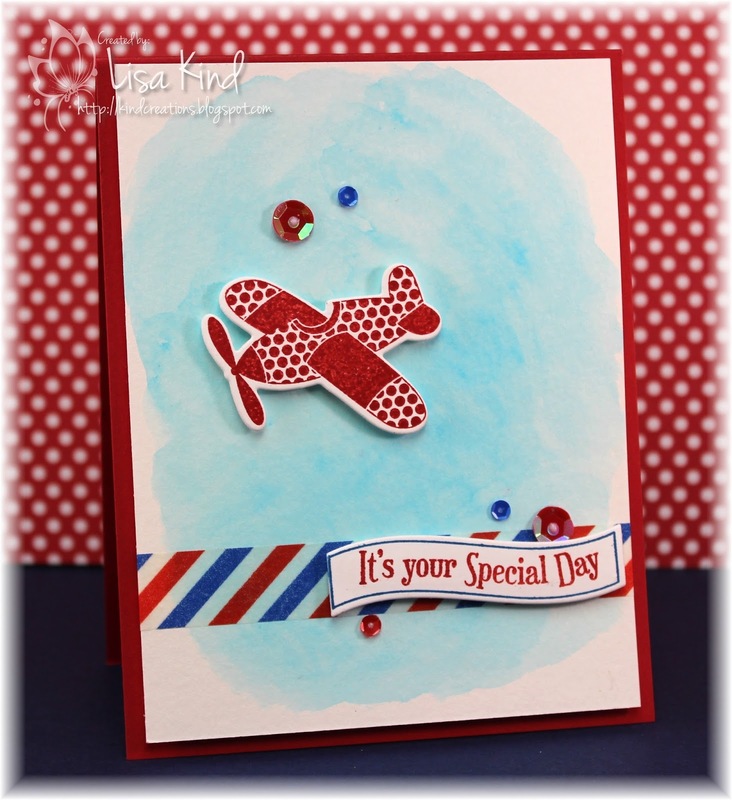 Through our stamp line, we aim to encourage crafters of all ages and experience levels to "Stamp with all your ART!" Please stop by our blog to see what the design team, our 3 guest designers from the past and our current guest have created for this challenge! You can also see more details about these prizes on the JUGs blog! Hi everyone! I fell in love with the colors from this week's Color Throwdown and had to play. Aren't they just so fresh and summery? 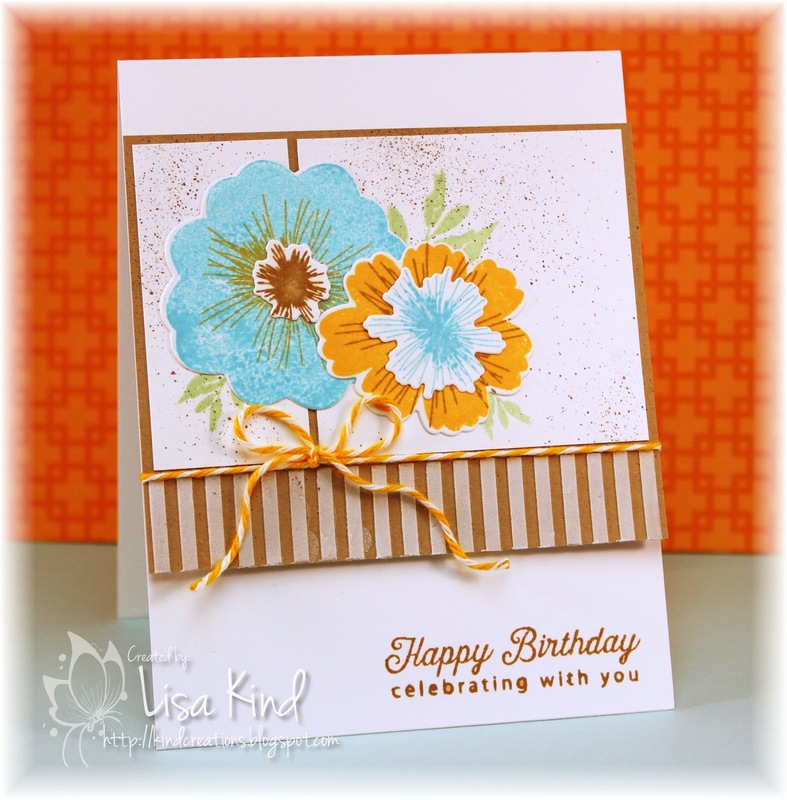 I purchased the new Bloomers set from PTI this release because I just love flower images and this one looked so fun and easy to create some gorgeous flowers. I had a difficult time stamping that aqua flower because the stamp is so solid and the ink just pools on the stamp, leaving a blotchy impression. I tried wiping it several times with a baby wipe, using an eraser on it, stamping it over and over, and it still came out splotchy. But in the end, I do like how this came out. I did add some green for the leaves...it's hard to do leaves in any color but green (for me!). 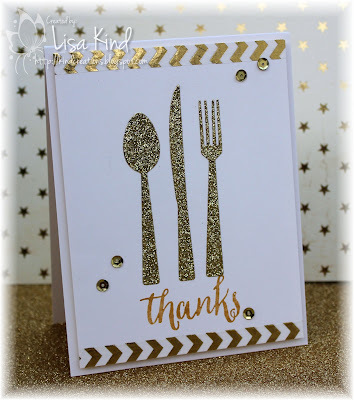 I used Tim Holtz's spritzer tool to get some ink splatters on the card. Love that thing! I used some texture paste and a stencil to get the stripes on the bottom of the panel then added some baker's twine to finish it off. The main panel was raised using some fun foam. 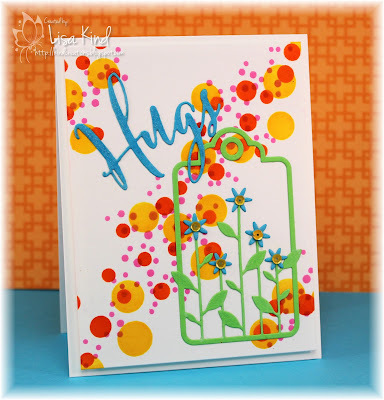 Easy card, but took forever to create because of stamping those dang flowers! 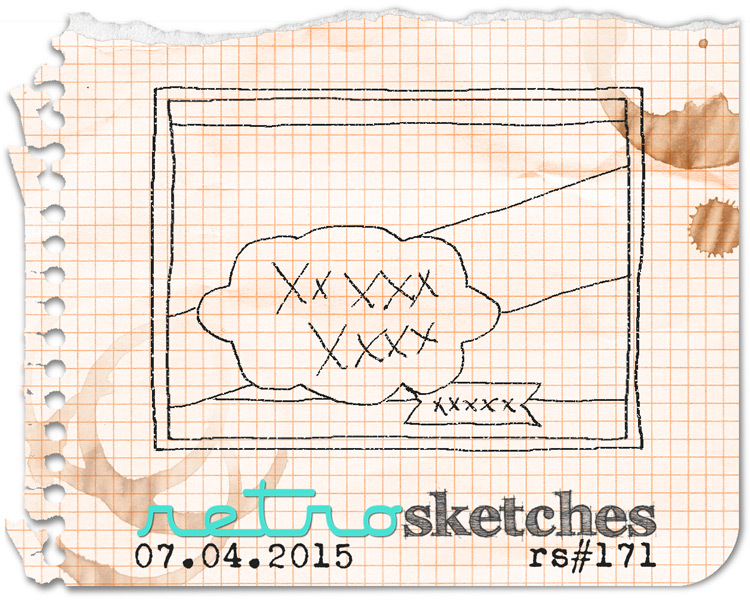 For the layout, I used this week's sketch from Freshly Made Sketches. Just a reminder: This Saturday is the 300th challenge over at Just Us Girls and we are having a celebration! Prizes and all! Make sure you tune in for the celebration! Hello friends! I made another card to remind you about the current Time Out challenge. You have one more week to play! 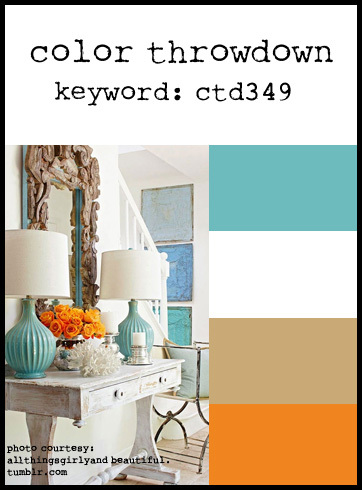 The challenge is called Home Sweet Home and we choose a photo of a room to inspire you. Here's the current photo. This time I chose a stencil to lay down some color. I added the stacked black sentiment to which I added some shimmer with Wink of Stella. The main panel was added to the black panel on fun foam. Then I added some enamel dots to finish it off. You can see more from the design team on the Time Out blog as well as our guest, Sue.